i) The vehicle moves in the direction of the arrow 'X' taking a left hand turn along the curve. ii) The vehicle reverse at the same speed in the direction of arrow 'Y' along the same path. iv) The engine speed at which the above value becomes zero. (10 marks) 5(a) What are the various types of gear boxes? Explain any one of them in details? 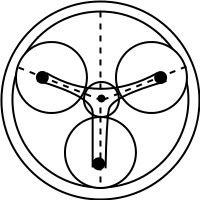 (10 marks) 5(b) style="text-align: center;">style="text-align: center;">An epicyclic gear train as shown in fig.2 has wheel S with 15 teeth fixed toa motor shaft running at 1450 rpm. The planet has 45 teeth and it gears with fixed annular wheel A and rotates on a spindle carried by an arm which is fixed to the output shat, P also gear with S. Find the speed of the output shaft if the motor is transmitting 1.5 KW power. 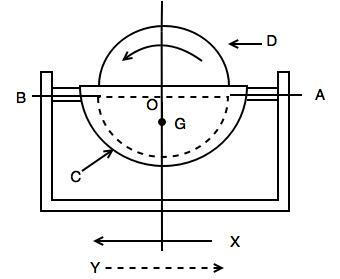 What is the torque exerted on the annular A.